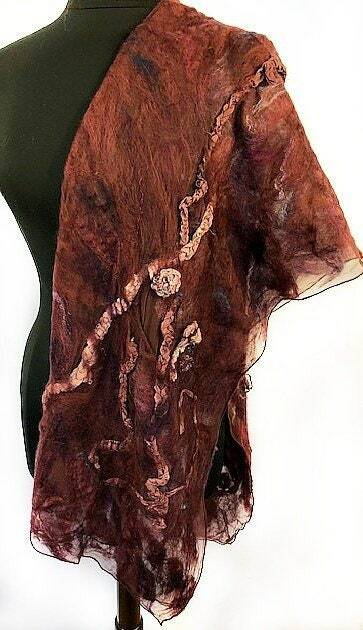 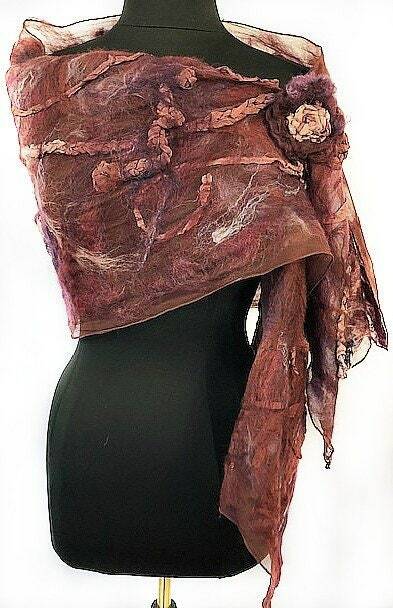 This Nuno-felted silk chiffon scarf was inspired by my love of all things fiber and these beautiful deep rich colors. 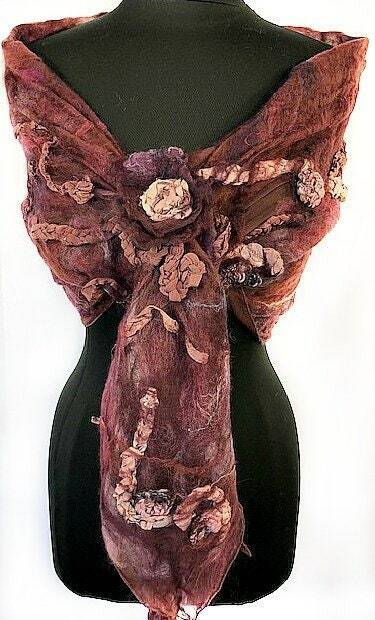 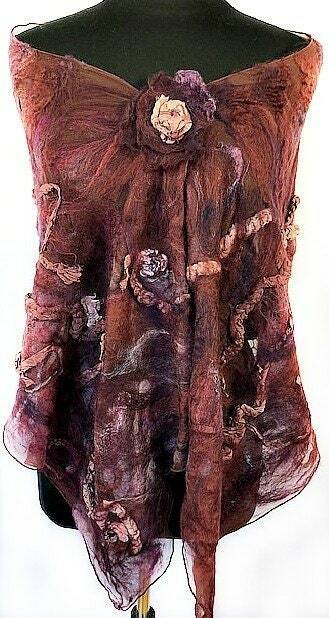 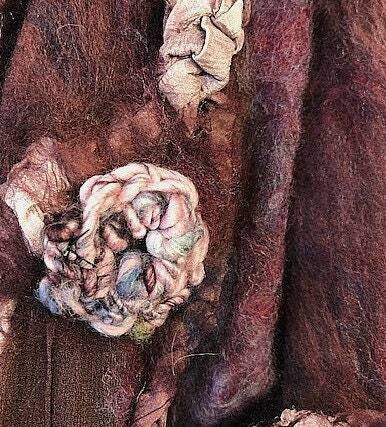 It was made through the process of wet felting using natural soft merino wool roving, hand spun art yarn which has been crocheted and then felted into the design, and crocheted silk ribbon in colors that compliment the rest of the wrap. 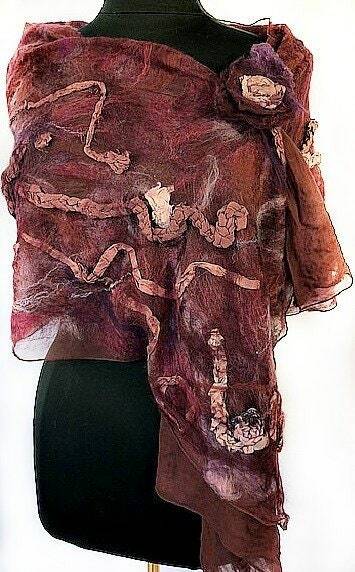 It was finished lightly with silk accents. 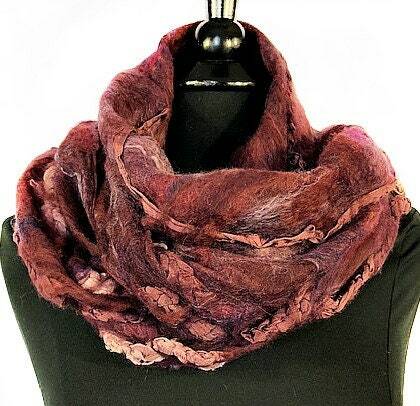 It is truly a unique piece is sure to dress up a casual outfit and will be perfect for that cool fall evening when you just need a little something to wrap around your shoulders. 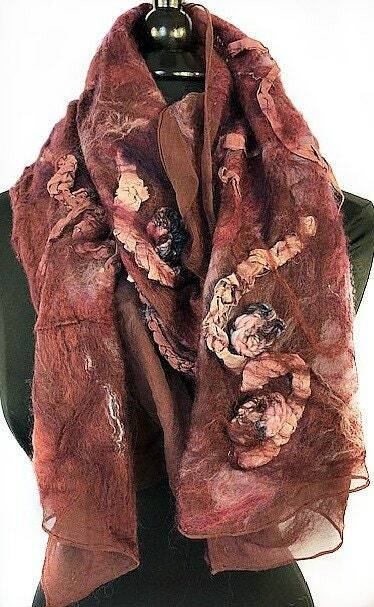 It would also be the perfect wedding accessory! 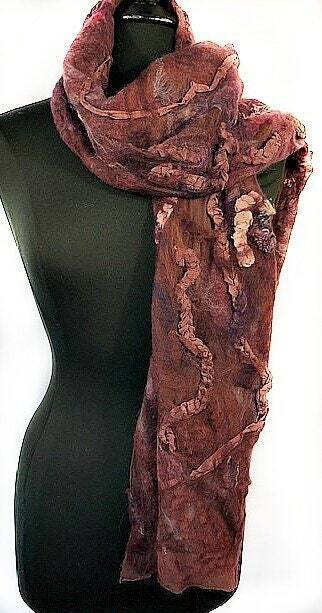 It is meant to bring about a sense of peace and serenity to the person who is wearing it.